Instead of making something totally different from Hospice and Burst Apart, The Antlers took an even more bold and innovative step and decided to combine the sounds, themes, and ideas from both of their previous albums on Undersea. Undersea is a beautiful and effortless combination of the desperate themes, chapter book like conceptual stories, and vivid and detailed lyrics of Hospice with the atmospheric soundscapes, free flowing nature and the magnificent apathy of Burst Apart. The first thing the album does brilliantly is present a bold fictional story and make us feel like we are actually playing a major part in the story. Undersea is The Antlers original story of a town covered in an almost Biblical flood overnight and the characters reaction to waking up under these new and deep waters. The album is about what the band calls suspension: the characters are suspended from their normal everyday actions, they are suspended from their normal dreams and loves, they are suspended from the colors of everyday life, and they are suspended from maybe even the possibility of life. But in this suspension they find some sort of nostalgic peace in knowing that they don't have to answer the most pressing questions of life, knowing that they don't have to struggle anymore, and knowing that the pain of day-to-day life is finally over. At the end of the struggle the main characters don't think of the bottom of the ocean as a depressing event or something even close to a positive event, but an enlightening event that puts all their everyday actions, loves, dreams and favorite colors in nature in a perspective that is literary breathtaking. In the same way the lo-fi instrumentation and emotional lyrics of Hospice made us feel like we were crying by the deathbed of the love of our life, the laid back, jazzy, and atmospheric instrumentation and vivid imagery of Undersea make us feel like we are actually drowning in a flood of weightless perspective that ends with us being something that we have never really been: content. Not only does Undersea make us a part of the narrative just as well as Hospice did, the instrumentation and the flow of the album is even better than it was on Burst Apart. Each track on the album perfectly captures the jazz, electronica, rock, and even pop influences that were successfully executed on Burst Apart. Even though the album presents you with a lot of sounds and a lot of diverse influences, the album never feels forced, pretentious or overdone. If anything it feels like these new sounds are coming at you in "waves," which kind of fits in with the whole theme and general story of the album. The flow on the album is also incredible: instead of feeling like four separate songs, the book feels like the soundtrack to a movie about a man who is realizing the power of suspension while drowning in this overnight flood. Instead of feeling like four separate songs loosely tied together, the album feels like a brilliant produced and put together 20 minute tidal wave that washes over you like it would one of the main characters in The Antlers story. Undersea has great instrumentation, magnificent flow and four great individual songs. 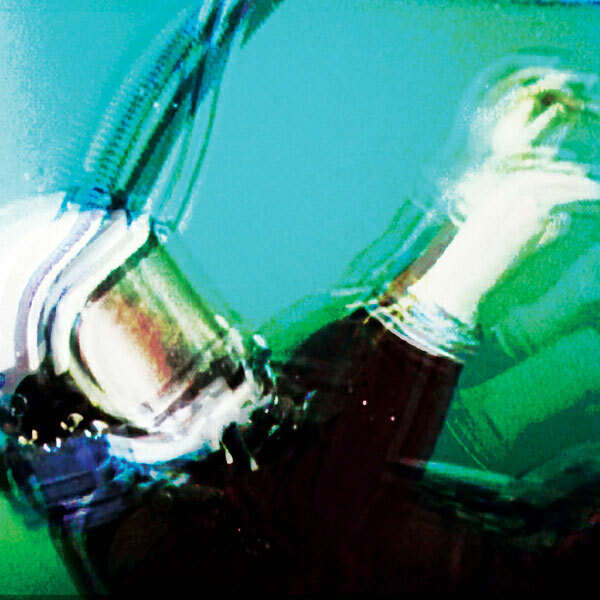 It is almost ironic that The Antlers wanted to make a concept album about "undersea suspension." Even though the band did exactly what they wanted to do with this album: they got the listener so tied into the story that they felt like they were suffering underwater, they made in album that flowed together so perfectly that it made the album seem like a 20 minute tidal wave that was washing over you instead of just four separate and simple tracks, and they made an album that easily combined the influences, sounds, and concepts from their two previous near masterpieces. But The Antlers successfully making a "undersea suspension" concept album is ironic because with this album they have officially "suspended" any notion of what can and cannot be done with their music. And that is some "suspension" I would gladly drown in.